A RFTA bus makes a stop at the 27th Street Station in Glenwood Springs. Officials with the Roaring Fork Transportation Authority went before the Garfield County commissioners Monday seeking support for RFTA’s upcoming ballot measure seeking a new property tax, and money for the Grand Hogback bus service. And, while the transit agency came away empty on both counts, for now, the commissioners voiced their support for the regional bus service. While RFTA had hoped to get an endorsement from the county commissioners on its mill levy proposal that’s before voters from New Castle to Aspen on the Nov. 6 ballot, only Samson voted in favor. Commissioner Tom Jankovsky abstained and Commissioner John Martin voted against the resolution to endorse the ballot measure. “RFTA is facing a serious of challenges at this time,” said Art Riddile, mayor of New Castle and the town’s representative on the inter-governmental RFTA board. “An aging bus fleet, unable to meet the demand of evening and weekend service, unable to provide off-season services, and the list goes on,” Riddile said in making a case for the tax proposal. This mill levy increase would give RFTA over $9 million in the first year, he said, replacing buses, adding services, adding to overflowing park-and-rides, construction of trails for multi-modal use, and more. Ballot Issue 7A will ask voters in Pitkin and parts of Garfield and Eagle counties whether a levy of 2.65 mills should be approved. It is RFTA’s first-ever property tax in order to maintain and improve the valleywide bus system and would be in addition to the existing sales tax and bus fares that now fund the system. The proposed mill levy increase is expected to cost commercial property owners an estimated $64.04 per month, or $768 per year, on $1 million of actual property value, according to RFTA. Homeowners will pay an estimated $6.75 per month, or $80.95 per year, for a $500,000 actual market value home. Riddile said it was not an upvalley vs. downvalley issue, but a transportation issue from Parachute to Aspen. 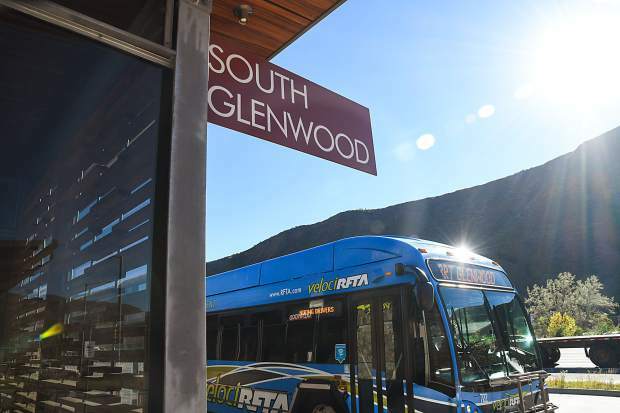 Following the ballot measure discussion, RFTA Chief Executive Officer Dan Blankenship asked for support from the commissioners for the Grand Hogback commuter bus service that serves the area from Glenwood Springs to Rifle. But, because it’s a budget item, his request will have to wait until those discussions take place, commissioners said. While Garfield County’s contribution for the service was $732,000 last year, Blankenship’s request for 2019 was slightly higher at $760,240. He said fuel price increase and operator wage increases are among the reasons for the additional $28,000.